Hiring Penn Jersey's floor waxing service can increase the longevity of your floor and save you money long-term. We offer the highest quality floor cleaning and polishing services for all types of floors. Dirt and grit in high traffic areas can leave even the most beautiful floors looking dull and unloved. If not cleaned, waxed and buffed regularly, floors will easily become scratched and damaged over time. Giving your floors a professional clean and wax restores their quality and appearance. It also gives floors a wonderful shine, regardless of the daily wear and tear they go through. We already care for many floors across Philadelphia on a regular basis. Our professional floor waxing service treats; tile, slate, floor vinyl, tile, cement, terracotta, cement, marble, and ceramic floors. High-traffic areas attract grit and dirt, making an otherwise beautiful floor look old, dirty and uncared for. Therefore, stripping, cleaning, waxing and polishing floors are essential to keeping your facility clean, smart and welcoming. At Penn Jersey Building Services, Inc, we offer 47 years of experience in cleaning and waxing floors across Philadelphia. No matter how big or small the task is, we always approach every job with the greatest of care. That’s why we are fast becoming the top professional floor waxing service in Philadelphia. We understand that quality wood, vinyl or stone floors are a big investment. But over time these floors can quickly lose their shine and become dull. Hard flooring becomes tired and worn from continuous foot traffic, grime, grit and spillages. Also, using the wrong floor cleaning techniques and products can damage the floor’s appearance. But by looking after your floor, we can help protect this asset, while helping you to maintain your business’ professional appearance. For professional hard floor cleaning in Philadelphia, then look no further than Penn Jersey. With our floor cleaning specialists dedicated to quality and reliability, you don’t need to buy expensive new flooring. Instead have it expertly restored for much less expense. Penn Jersey provides a comprehensive hard floor cleaning and maintenance service. Whatever floor type you have, whatever you need our help with, we have the solution for you. Clean, polished beautiful flooring helps create an inspiring working environment that your employees can be proud of. And for your customers and visitors it can help create a welcoming and inviting space. We have a reputation across Philadelphia for providing excellence in residential and commercial maintenance. But it’s our specialized floor and surface care services that truly makes us stand out. We strive to exceed expectations and leave our customers with fantastic results. We choose the best possible care and equipment for each floor surface including stone, concrete, wood, vinyl, laminate, marble, terracotta, slate, and tiling. 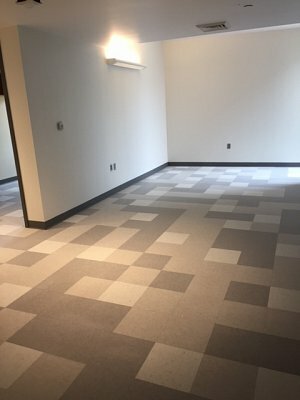 High traffic areas like entryways, commercial floor areas, public areas and office spaces receive a lot of wear and tear. Dirt and scratches can transform a once beautiful floor into dull, dirty and very unattractive. Floor waxing and polishing services are an important part of keeping your floors looking clean, glossy, professional and presentable. Wax is a completely natural floor finish and safe for you, your staff, customers, family, and the environment. It offers a soft and mellow finish and allows your floor to breathe naturally. Alternatively our polishing services can buff up your floor’s natural appearance, enhancing its best features. Floors require special care and using the wrong floor waxing equipment or products can cause serious damage or discoloration. But when you hire Penn Jersey, you’ll benefit from an experienced, quality and professional floor waxing service. Our crew always use the best floor waxing products for the job to restore your floors to their original beauty. You won’t be disappointed. At Penn Jersey, we are proud of our dedicated team of friendly, reliable and highly skilled floor cleaning experts. They will use their knowledge, skills and expertise to tackle all of your flooring needs, from cleaning, polishing to waxing. With their know-how combined with the best floor cleaning tools and techniques, they will breathe new life into your floors. It is one thing to organize regular floor cleaning and floor care services, but sometimes events mean you need a quick response. Penn Jersey are a flexible and responsive organization who can visit at short notice to provide affordable emergency floor care. Regardless of whether it is a spillage, flooding, fire, or something else, contact us and we will draw up a quick plan to return your floor to its former glory as soon as possible. Our range of specialized floor care services ensure we can return your floors to their best, whatever treatment they need.